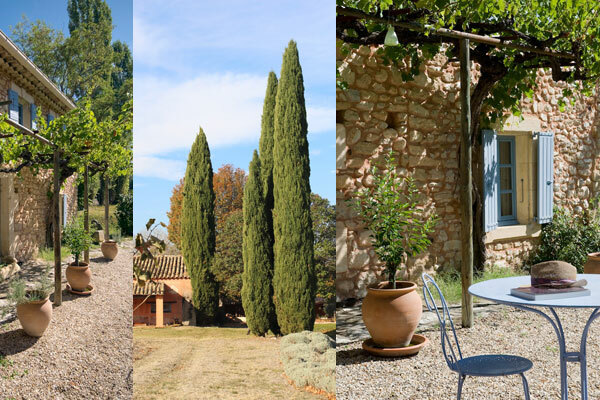 A quality painting course in a charming, authentic Provençal farmhouse. The old haunt of Hollywood stars such as Liz Taylor and Leonard Cohen. Nestled in the middle of the autumnal vines, cypresses & lavender fields, looking towards the blue Luberon hills. 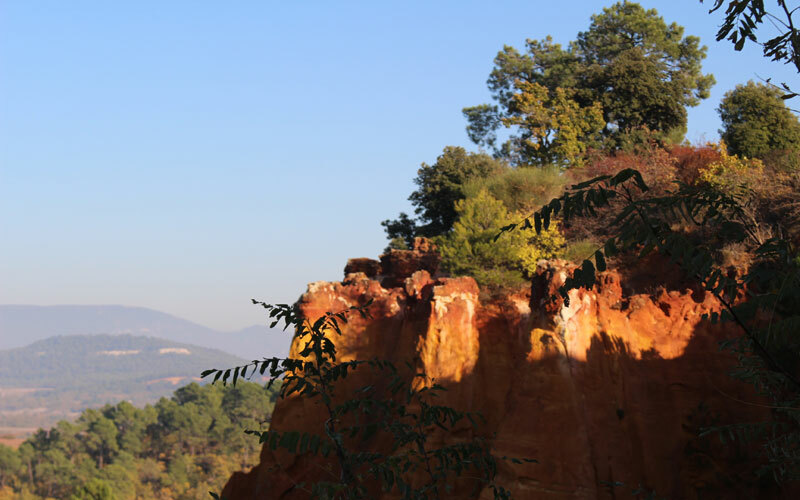 Near the ochre village of Rousillon where the warm-hearted colours of the south of France are illuminated by bright Mediterranean light. * a lively local market. 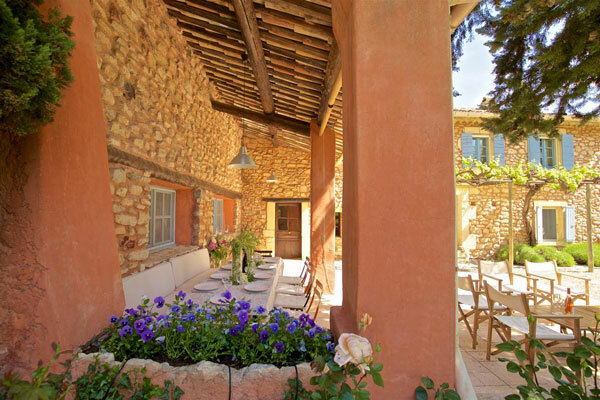 Come & paint in the bright Mediterranean light that has inspired artists since time immemorial. 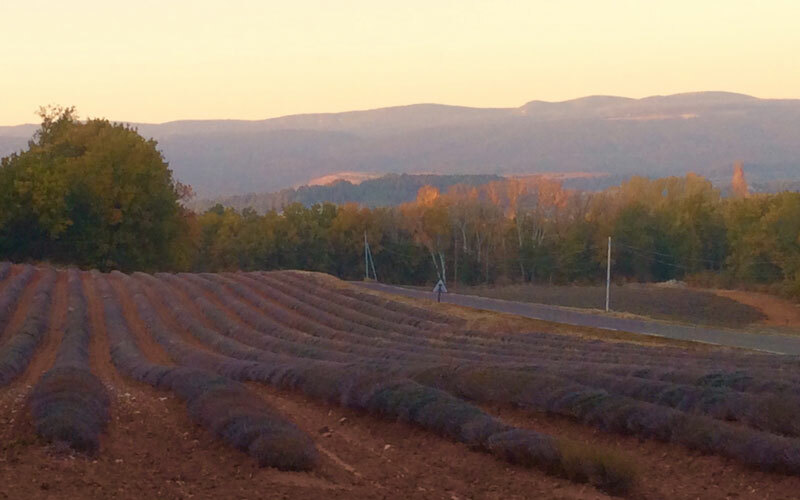 The landscape is a rich tapestry of agriculture, pretty villages & vistas of blue hills. Because it is inside a ‘Parc Naturel’, much of the natural beauty is still preserved. 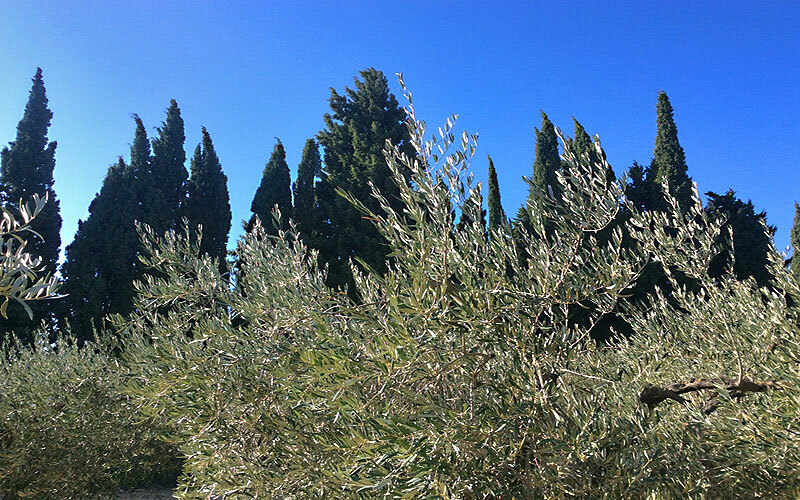 In the garden, there’s olive & cypress trees to paint. 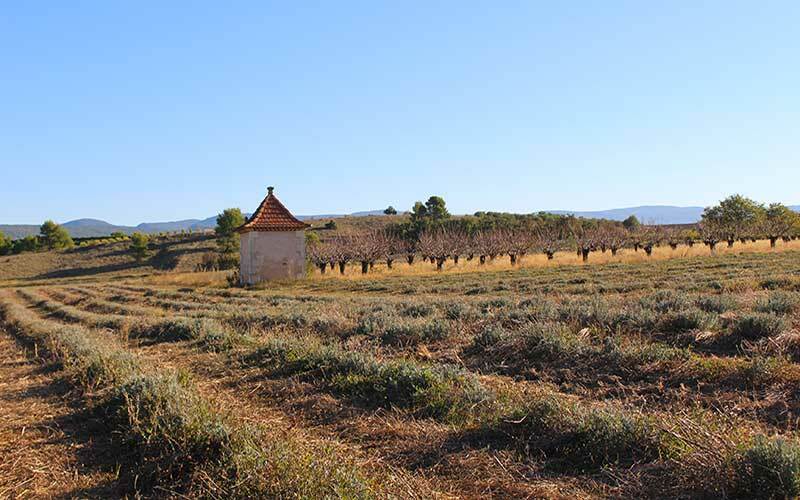 Walk out of the garden and you are in lavender fields, vines, cherry orchards & far views. 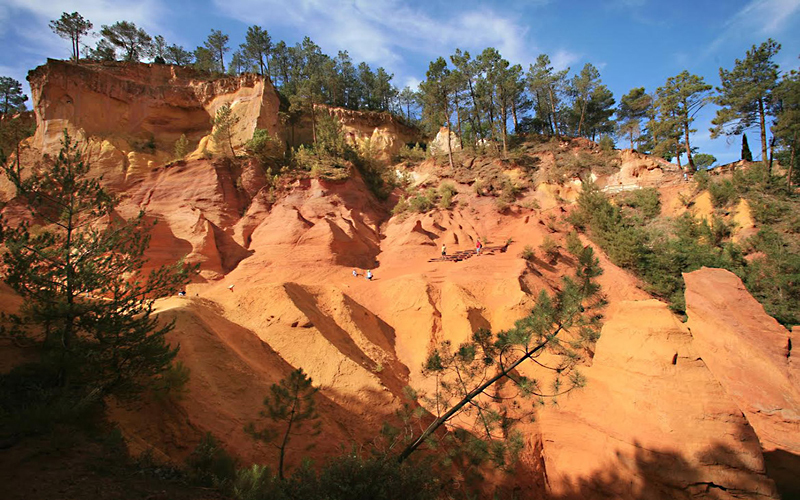 Roussillon les Ocres is the ochre village, where they quarry a treasure of red & yellow earths. Her seductive stucco walls are singing with colour. 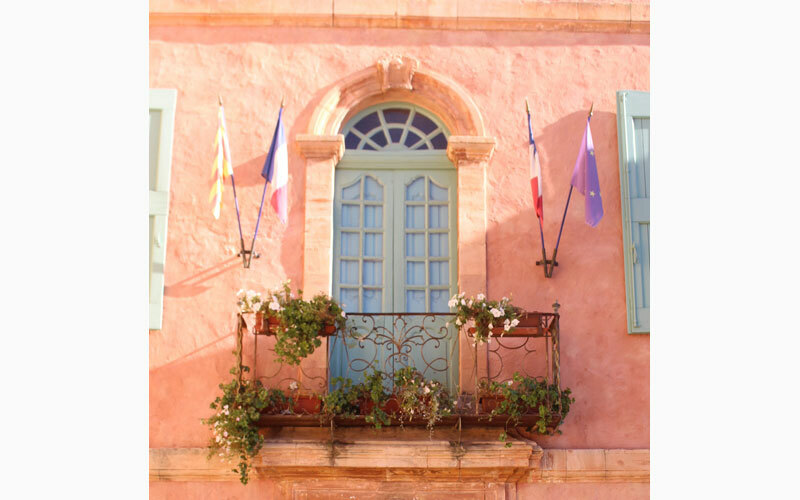 Provence & the South of France has a warm, sun drenched palette. 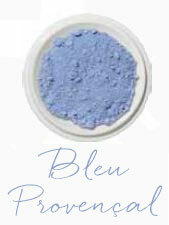 – Find out about artist’s pigments & colour. 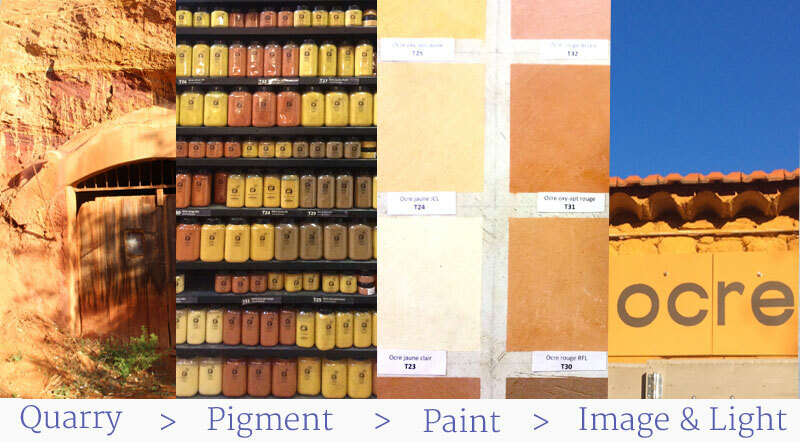 Visit to ‘Le Conservatoire des Couleurs’, a must for any colour hungry painter. Like a ‘Conservatoire de Musique’, where the discipline lives on by practice. By active hands-on learning, exhibitions, library & shop full of pigments, paints & colour. You will learn how artists paints are made & give it go yourself. Adam makes his own oil & watercolour paints. 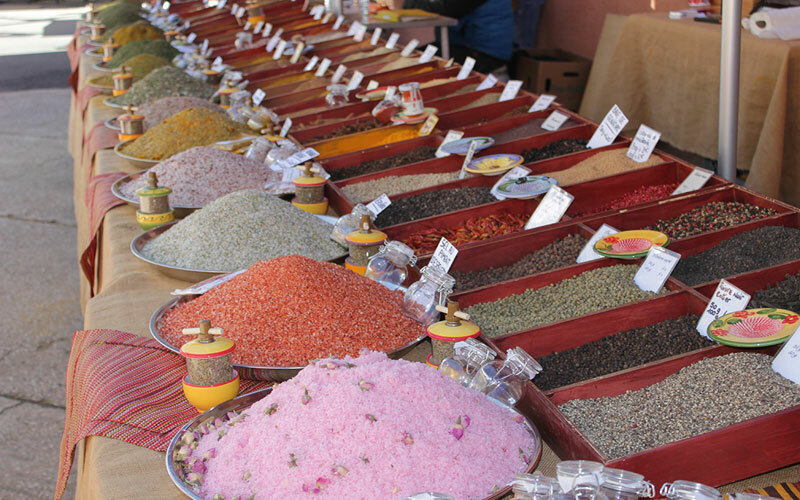 – Shop in a lively local market. Join in the fun & be part of ‘le spectacle de la semaine!’ Stroll around and visit the art galleries & bars. 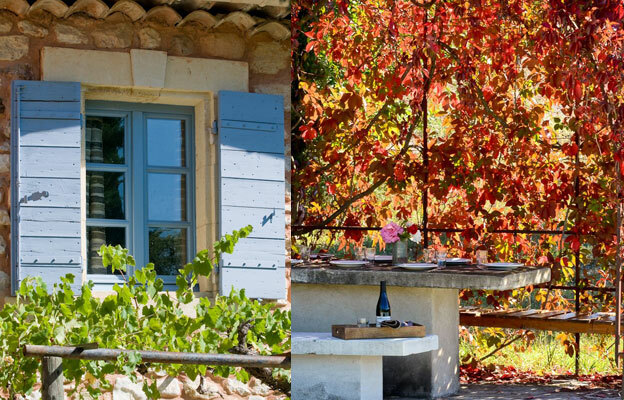 Late September/early October is a lovely time in Provence. Good for plein-air painting since it is often tee shirt weather but without the heat of high summer. Average temperatures are around 23°C (72°F) but with fresher, shorter evenings. With little risk of rain, the sun is softer than high summer, with a golden cast & long violet shadows. The autumn leaves are beginning to turn colour. It’s vendange time & the wine cellars buzzing with excitement. There’s also less tourists than the high season. 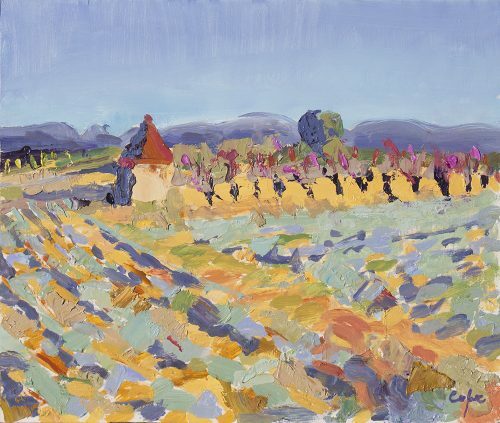 The course specializes in plein-air landscape painting, colour, light and composition. Still-lives, portraits & semi-abstracts happen too. This course is appropriate for beginners as well as advanced. You will learn painting techniques as well as have plenty of time for your own creativity. Learning happens both in group and on an individual basis. There’s lots of one to one teaching in your own individual painting time since group size is small. There’s a studio/camp for plein-air painting which equipped with painting furniture. Thus you can travel light. Oils, alkyds, acrylics & watercolours. There’s also the option of hiring a set of paints so you can travel lite. I find that students like light and colour, so I like to get students painting, using their brushes and mixing colour as soon as possible. We can then return to drawing later, rather than spending three or fourdays caught in the complexities of perspective. Adam Cope BA hons; Further Education & Adults Teaching Cert.I ; Foundation Diploma Art Therapy. 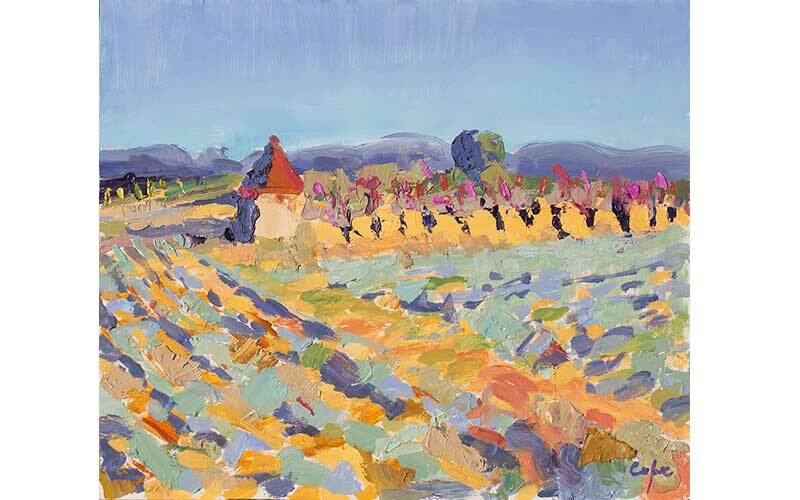 ‘Lavender and Cherries at Rousillon’ Oil. 10 x 12 inches. This was a demonstration in last year’s painting workshop. 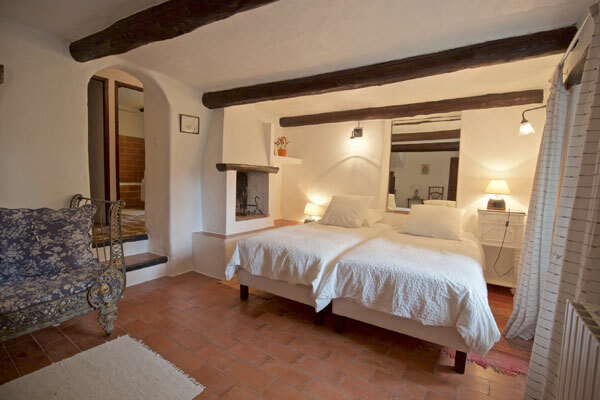 ‘La Madone’ is an authentic, old ‘Mas’ (southern farmhouse) built in natural materials : terracotta pan tiles, old stone & red earth walls, wooden beams, all lovingly restored. 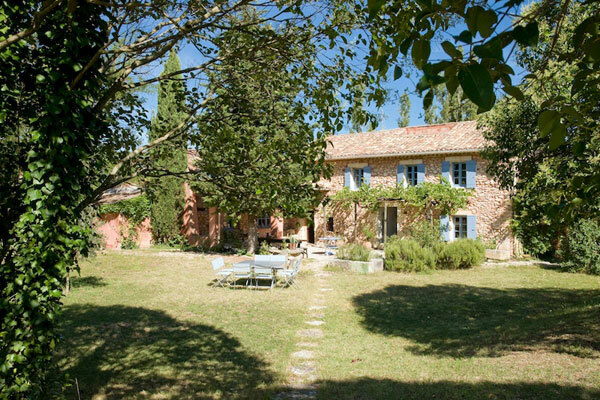 It wouldn’t be tout of place in Claude Berri’s ‘film ‘Jean de Florette.’ It was restored by restored by a Hollywood film star. 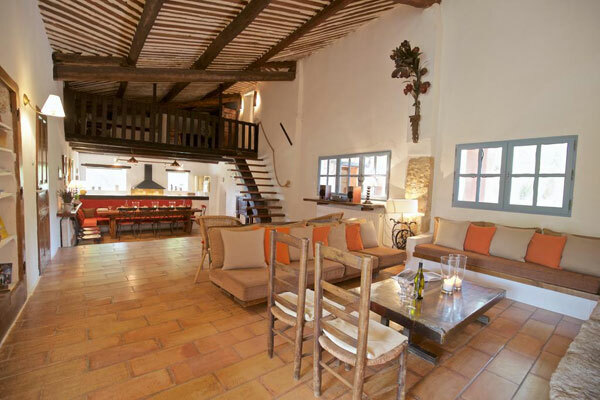 Home to an artistic tradition, expect to find good hospitality & interesting paintings hanging on the walls. Previous guests include Elizabeth Taylor, Richard Burton & Leonard Cohen. 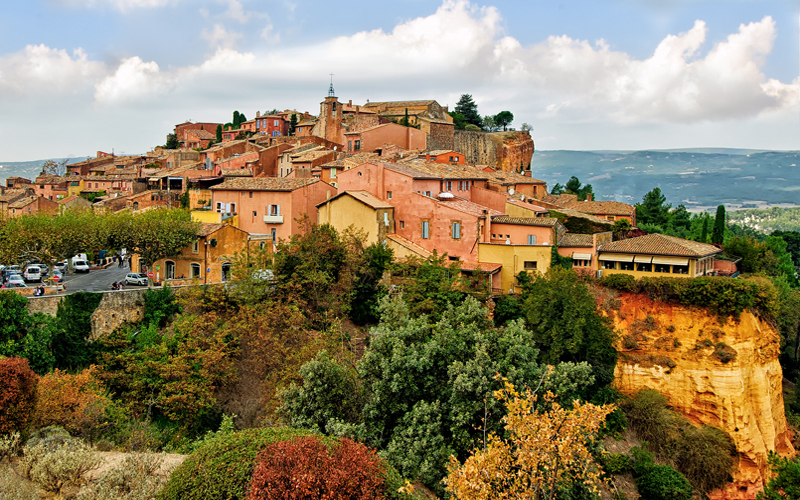 It is private & secluded, yet only about a kilometer (about a thousand yards) walk into Roussillon village with its bars & art galleries. The inside is large & spacious. Labyrinthine as organic ‘houses of the earth’ often are. It offers privacy & seclusion as well large inspiring spaces to hang out & be convivial with fellow students. 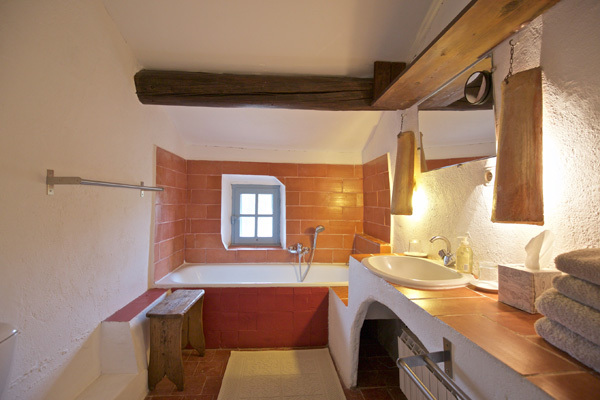 The decoration is white walls, soft adobe curves & red clay ‘terre cuite’ tiles. 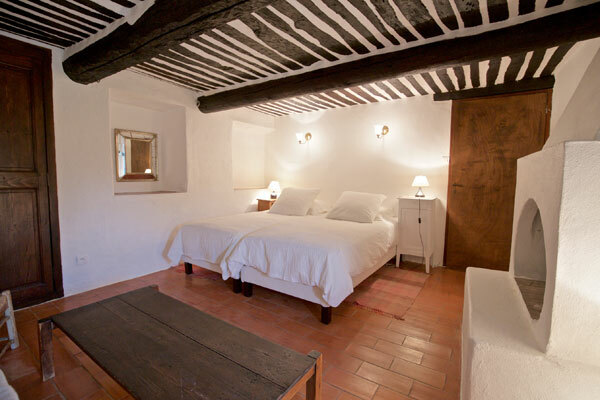 The comfortable bedrooms are either twin or double en-suites, all with fresh linen & pretty views. 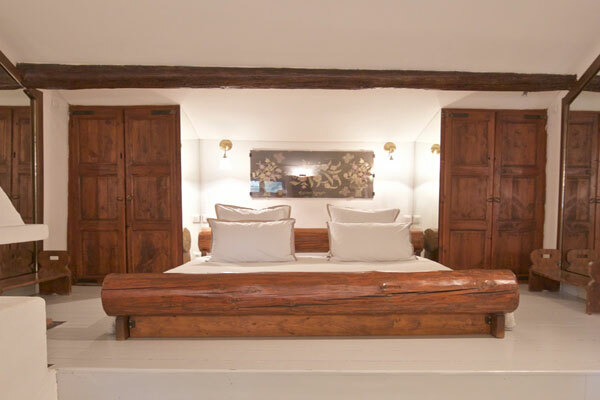 It is rated four stars by the France Tourist Authority. 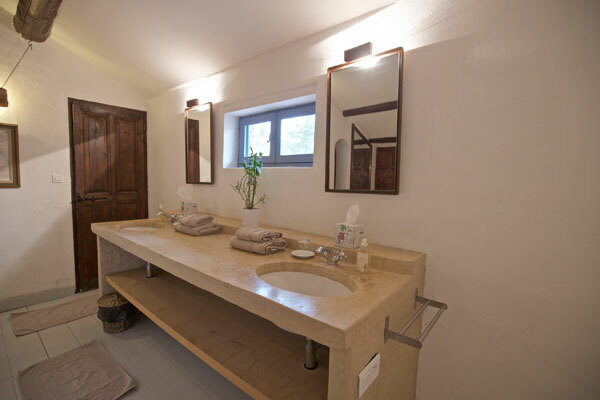 Enjoy the swimming pool (pool towels available) & the sauna. 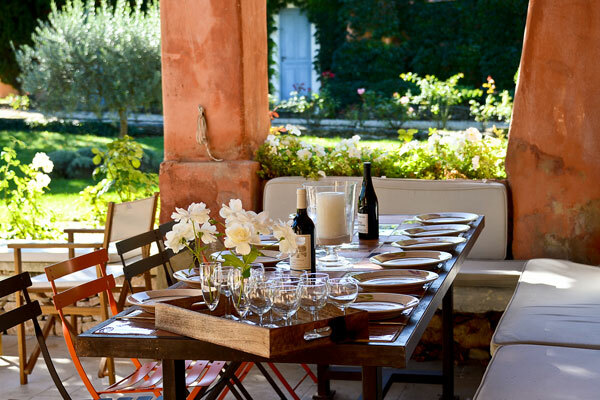 We eat ‘al fresco’ in the courtyard with its covered terraces, under the shade of olive & cypress trees. 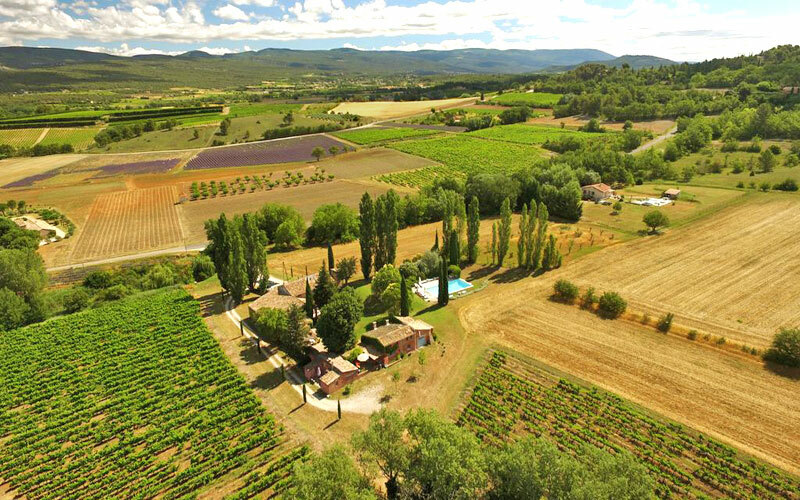 No need to get into a van to find something to paint, just walk right out into the vines, lavender fields, cherry orchards & woods … and find yourself in a painter’s paradise! Breakfast, a cold buffet lunch, and a good evening meal (entree, plat, fromage, desert). 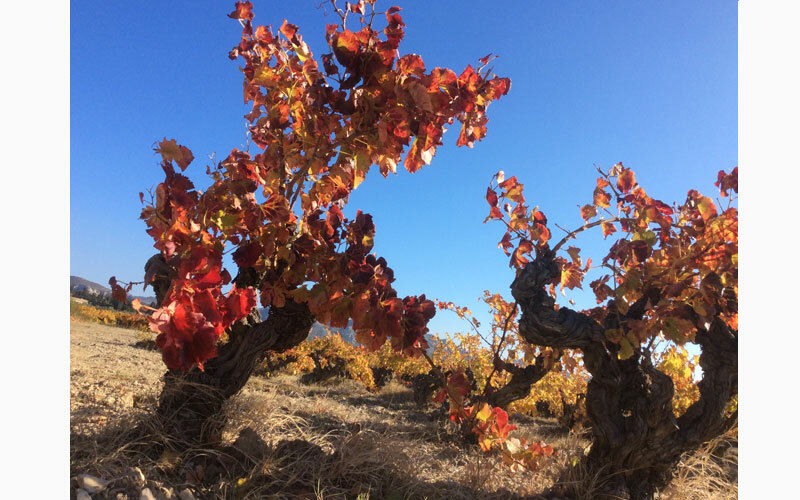 Local wines with lunch and dinner. 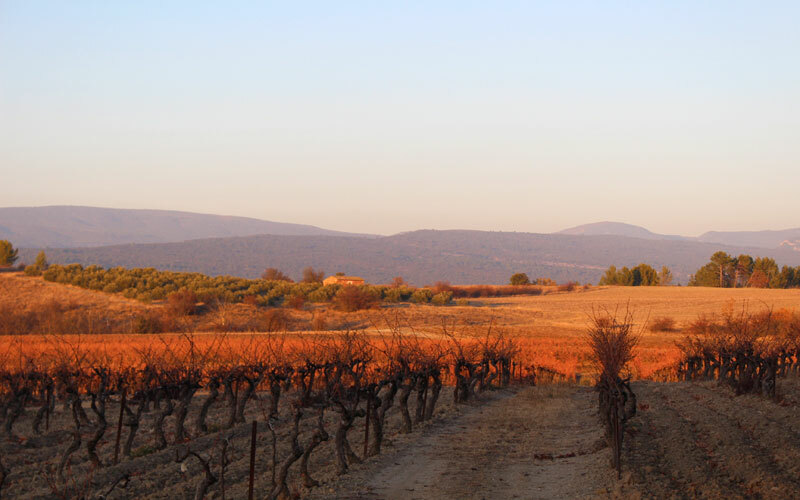 Provençal cuisine & wines of the warm-hearted south (lovely Rose and generous red Cote de Luberon). Ingredients are mostly organic. Vegetarians welcome. For Wine Buffs : There’s an ‘Honesty Bar’ of bottled fine wines of the region for those extra-curriculum drinks. 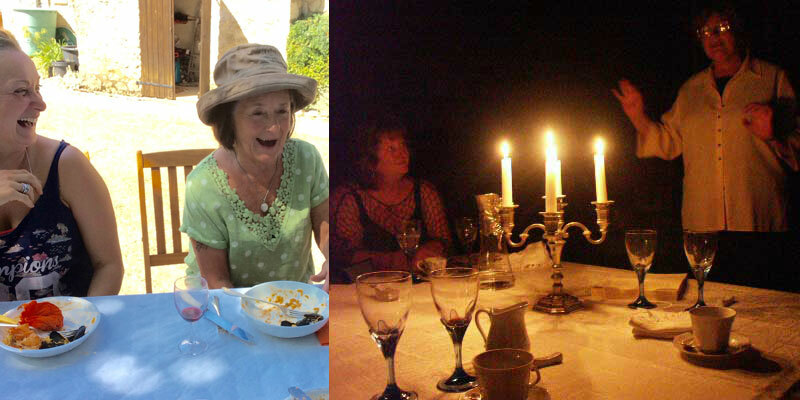 Wine & dine in good company where laughter & conviviality are the norm. Friends are soon made, camaraderie flows. People often come from all over the world but share this passion for painting, so the talk at table is rarely dull. 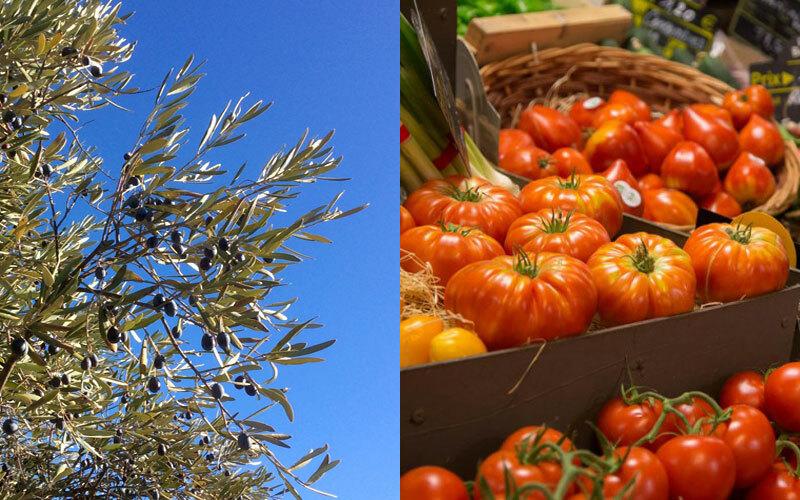 We eat ‘al fresco’ in the courtyard with its covered terraces, under the shade of olive & cypress trees. Sorry, fully booked. Places on waiting list available. Six days teaching. Seven nights accommodation. All meals & wine. Use of studio & basic studio art materials. 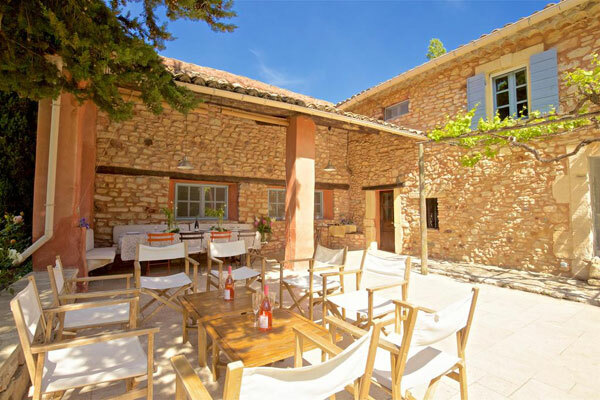 Transfers from & to Avignon TVG and from Saint Rémy de Provence. Thinking back to our week together it now seems like we were enveloped in this wonderful cocoon or bubble away from all the troubles of the world and the tourists… – Peter, Australia. Like to visit Vincent & walk around the places he painted? 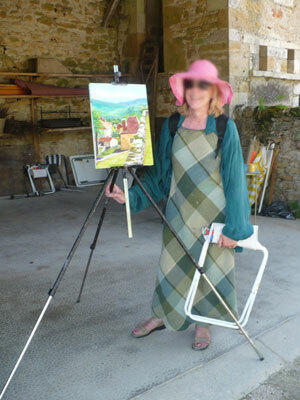 We’ll pick you up from St Rémy & drive you to the painting course. 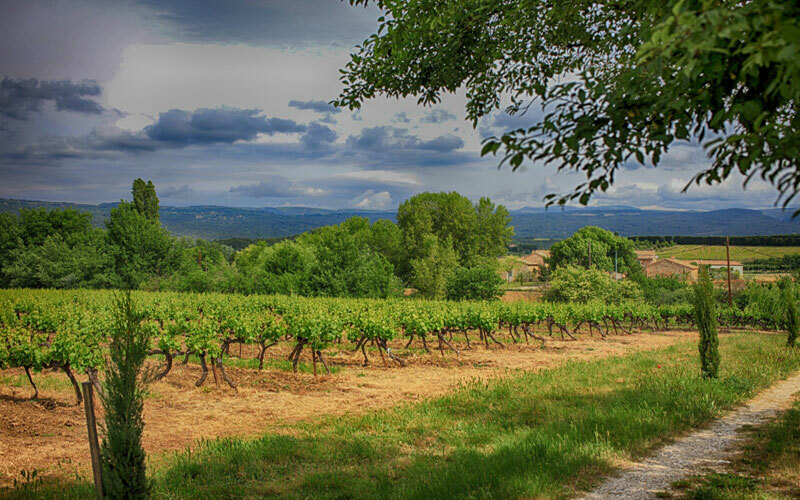 Rossillon is situated in the Parc Naturelle de Luberon in Provence, South France. 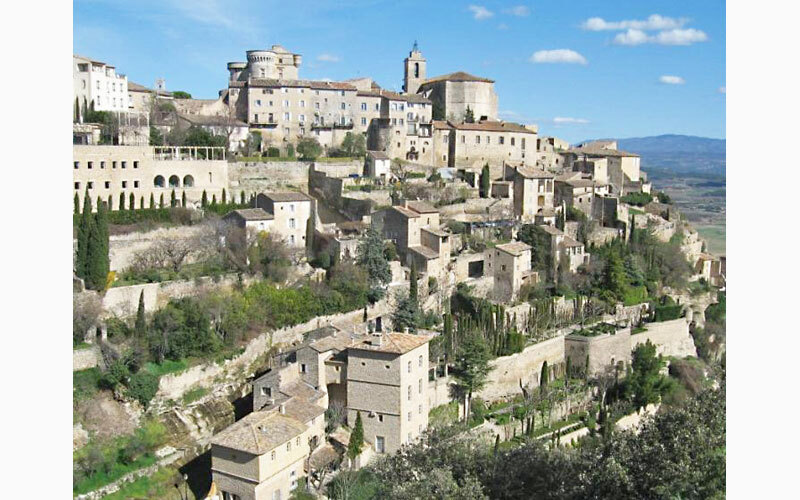 The nearest town is Cavaillon. Marseille is about 85 kilometers. * Nearest Train TVG is Avignon (about 55 kms. 1 hour drive). Pick-up & drop-offs on start & finish days at fixed times included in the price. * RDV for pick ups at the Drop Off Point in front of Avignon TVG train station @ 14hr for course start time @15hr. 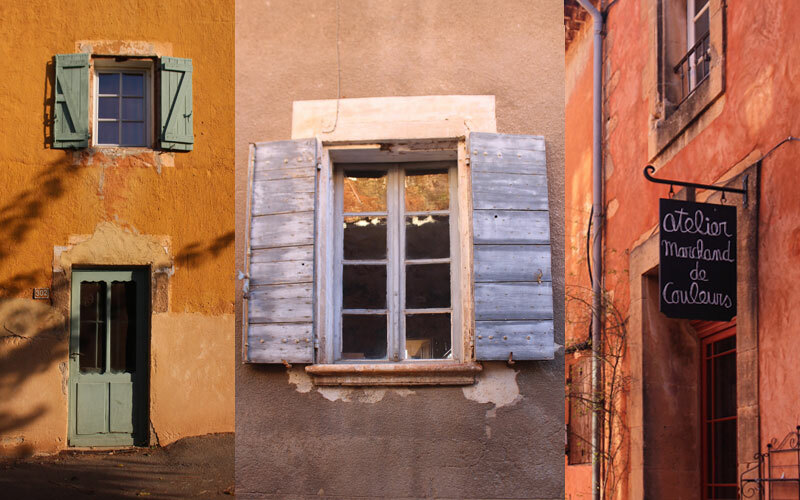 * Possibility pick up from Saint Rémy de Provence, if you want to visit Vincent Van Gogh’s town & museum before the course. * Nearest airport is Marseiile (85 kms. 1 hour 15 mins drive). Ask about the possibility of a transfer.